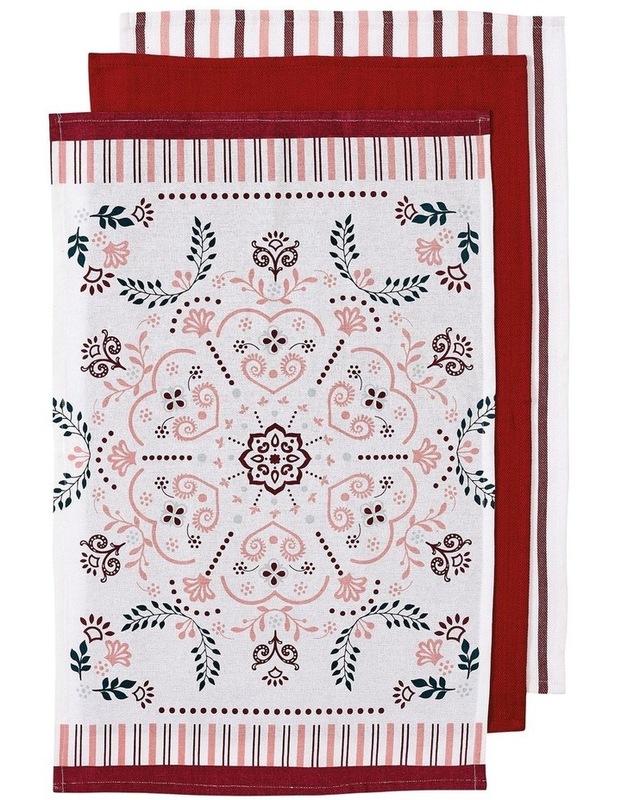 The Ladelle Mystic Burgundy 3pk Kitchen Towel comes as set of 3 and each set includes a kitchen towel in a floral printed design, a solid colour and a striped design. Care instructions: Warm machine or hand wash separately before use. May be tumble dried low. Reshape whilst damp. Warm iron on reverse. Do not bleach. Do not dry clean.